-Annual Programme“ NadaPrayathna” , Nov 3rd weekend, a showcase of students’ talents’..
Have you been struggling to deal with your child’s learning disability? GeethaBhat offers help. How do you explain concepts to a student who struggles to read, write, spell or learn Math, although he/she does not have mental retardation, emotional problems or educational disadvantages and has normal vision, hearing and language capabilities? One explanation could be that the student has a learning disability. It is a general term that refers to a heterogeneous group of disorders manifested by significant difficulties in listening, speaking, reading, writing, reasoning or mathematical abilities. These disorders are intrinsic to the individual, presumed to be due to a central nervous system dysfunction, and may occur across one’s life span. Most definitions agree that students with learning disabilities are at least average in intelligence, but have significant academic problems and perform significantly below what would be expected. Students with learning disabilities are not all alike. The most common characteristics are specific difficulties in one or more academic areas — poor coordination, an attention deficit, hyperactivity and impulsiveness; problems organising and interpreting visual and auditory information; disorders of thinking, memory, speech and hearing and difficulties keeping and making friends. In fact, students with other disabilities (such as Attention Deficit Disorder) and normal students may have some of the same characteristics. Now, not all students with learning disabilities will have these problems, and few will have all of the above-mentioned problems. 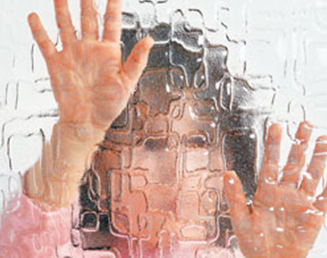 Some psychologists believe that the learning disability label is overused and abused. Some students may just be slow learners in school, average learners in high-achieving schools, students with second-language problems, or students who are behind in academics for various social and economic reasons. Early diagnosis is important so that students with learning disabilities do not become terribly frustrated and discouraged. These kids are usually at a loss, wondering why they have trouble with learning and become the victims of learned helplessness. Assessment is an important step in diagnosing learning disabilities. Find helpful information on special education, diagnosis, and work with schools throughout the assessment process and beyond. nPraise the child when he/she does well. Children with learning disabilities are often very good at a variety of things. Find out what your child really enjoys doing, such as dancing, playing soccer, or working with computers. Give your child plenty of opportunities to pursue his strengths. nFind out ways the child learns best. Does he/she learn by hands-on practice, looking, or listening? Help your child learn through his or her areas of strength. It can be tough to face the possibility that a child has a learning disorder. No parent wants to see his or her child suffer. You may wonder what it could mean for your child’s future, or worry about how your kid will make it through school. Perhaps you’re concerned about your child’s learning problems being labeled ‘slow’ or assigned to a less challenging class. But the important thing to remember is that most kids with learning disabilities are just as smart as everyone else. They just need to be taught in ways that are tailored to their unique learning styles. By learning more about learning disabilities and your child’s learning difficulties in particular, you can help pave the way for success at school and beyond. Albert Einstein is recognised as one of the smartest men to have ever lived. A little known fact about Einstein is that when he was young, he did extremely poorly in school. His grade school teachers told his parents to take him out of school because he was “too stupid to learn” and it was thought to be a huge waste of resources for the school to invest time and energy in his education. His mother, who did not believe her son was “stupid”, bought him a violin instead and Albert became good at the violin. Music helped him become one of the smartest men. Einstein himself has said that the reason he was so smart was because he played the violin. He loved the music of Mozart and Bach the most. A friend of Einstein, G J Withrow, said that the way Einstein figured out his problems and equations was by improvising on the violin. Children, primarily learn by hearing, seeing, doing, thinking, experimenting, moving or any combination of the above. The same ways of learning are incorporated through music and arts by the usage of hands, feet, eyes, ears and the mouth while learning to play a musical instrument or as in vocal or dance. Learning to play an instrument involves the entire brain and helps in its total development and organisation by utilisation of all the senses. The result is that the child retains information and can transfer learning to other subjects. Music and arts-based education is a win-win situation because a child involved in music or the arts, increases his/her ability to learn and understand other subjects. Learning an art form not only allows the child to develop his/her intelligence that lies within him/her, but also allows the child to express his/her uniqueness as a person, thereby displaying strong inner confidence and a sense of self-worth. Research has proved that the relationship between a musical activity and the brain benefits by stimulating motor therapy, speech and language therapy, pain management, and cognitive rehabilitation in areas such as memory, executive function and attention. Music therapy has the power to facilitate communication skills, self-expression, fine and gross motor functioning and bring about various other positive changes in individuals with development delays and learning disabilities , Alzheimer’s disease, traumatic brain injury, relaxation to the terminal ill patients, etc. One of the big breakthroughs in education came in the early 1980s. The work of psychologist Howard Gardner gave educators and parents a greater understanding about intelligence and how children learn. In his book, Frames of Mind, he introduced his theory of multiple intelligences. Until Gardner’s research, educators believed that children were born with a fixed intelligence that is measured through an IQ test. But Gardner proved that there could be many ways to be intelligent. He identified seven different areas of intelligence and said that these seven areas develop at different times and to different degrees in different individuals. He later identified an eighth intelligence of the naturalist and today, we have within us capabilities of all eight types of intelligence. But the bad news is that schools reward only two types of intelligence identified by Gardner — verbal/linguistic, logical/mathematical. The other areas are equally important and these include musical, bodily/kinesthetic, visual/spatial, interpersonal and intrapersonal, but are not necessarily acknowledged by most schools. The good news is that musical intelligence is so powerful that by learning a musical instrument or studying the arts, the other seven types of intelligence can be developed at the same time. If we are to make a strong case for music education, we cannot do so merely by focusing on its cultural value to civilisation. We must begin to use the information we have of the cognitive sciences. We need to carry on research on the academic achievement of music students and make that information broadly available to all those engaged in educational planning and practice. We must note the results of music education on the development of higher order thinking skills, including analysis, synthesis, logic, and creativity; improved concentration and lengthened attention spans; improved memory and retention; and improved interpersonal skills and abilities to work with others in collaborative ways. And then we can discuss the joy of learning that comes from listening to and making music. Perhaps it seems too simplistic to think that by merely adding music and arts to the curriculum, schools will turn out students ready to accept and meet the challenges of the workplace. But when you truly consider the information gained through scientific studies on brain development, one can note this simple idea provides the method by which the complex process of developing optimal brain function can be achieved.